I am going to be perfectly candid, if you know me at all you know I have a big sweet tooth and love all things dessert but once in awhile I love something a bit salty to snack on in the evening. Like chips. But let’s get real – chips, even the ‘healthy’ baked variety, are not all that healthy in reality. And secondly, it is kind of impossible to have just one chip. The second let’s get real moment, after eating an entire bag of chips, or even half a bag, nobody feels that great afterwards. That is why I LOVE these Naked Baked Kale Chips because they are healthy AND you can eat the ENTIRE batch AND feel great afterwards. 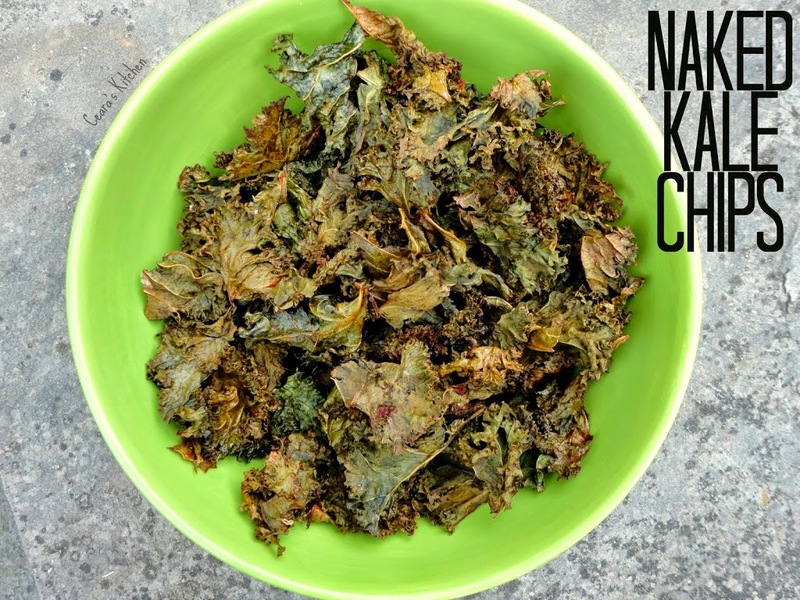 When my sister and I made this one afternoon, we shamelessly enjoyed the entire double batch of these baked kale chips just the two of us! These Baked Kale Chips are healthy, crunchy, slightly salty, and contain just 4 ingredients – kale, sea salt, lemon and a pinch of olive oil. Can you get anymore bare than that? And like the ‘real’ thing they are addicting, like super addicting, and you don’t have to feel bad about eating the whole batch because kale is pretty much the magic green food that makes you feel like a million bucks and gives you tons of energy from all the tasty and crunchy nutrients snuck into each bite. 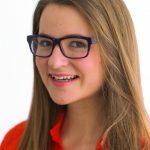 One of the things I learned since moving to Belgium is that Kale is very hard to come by meaning I have been one kale deprived girl for the past year or so. 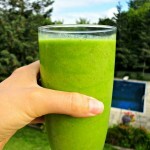 Since coming back to Toronto for the summer I have been sneaking this beautiful vibrant green into almost everything I eat – I’m Kale obsessed! And these chips just make me that much more obsessed. Let’s get chopping because these chips could not be easier to make. First, remove your washed kale leaves from the thick stems and rip or cut your kale into large pieces – these will become your kale chips. It may seem like you have a ton of kale leaves from one bunch but not to worry, the kale shrinks big time when it dehydrates in the oven. After rinsing, pat your kale fully dry and add it into a large seal-able bag. Throw in the lemon juice, sea salt, and olive oil and shake up the kale until the all the kale is evenly coated. Spread the kale *soon to be chips* evenly on a couple of metal pans and leave to dry out in the stove on 250f for around 20 minutes (the exact time will vary depending on the humidity in the air). 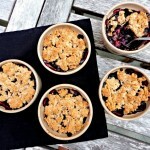 This recipe is easily doubled and makes a great snack for the entire family! Make sure to rip kale into big pieces and thoroughly dry it before dehydrating in the oven. 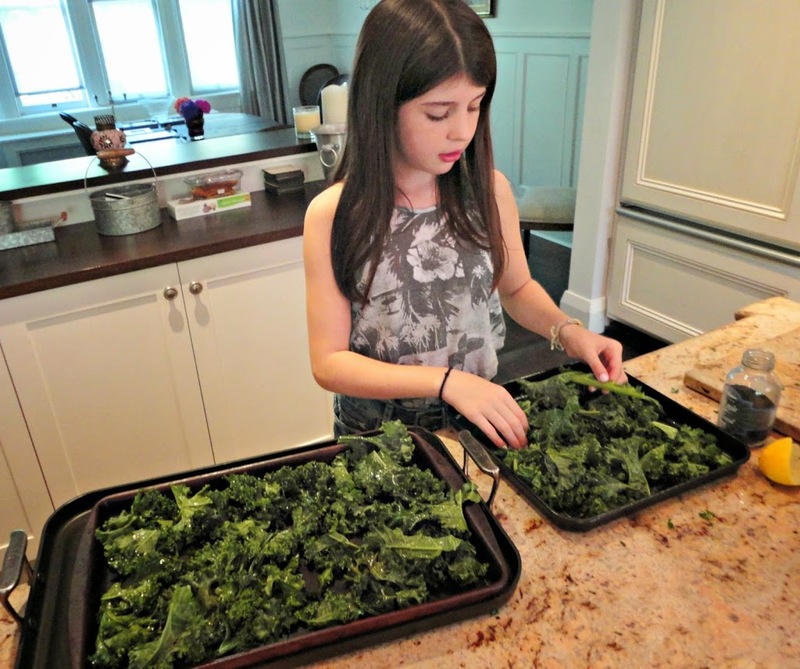 The key is to not crowd the kale chips on the baking sheet before placing them in the oven. 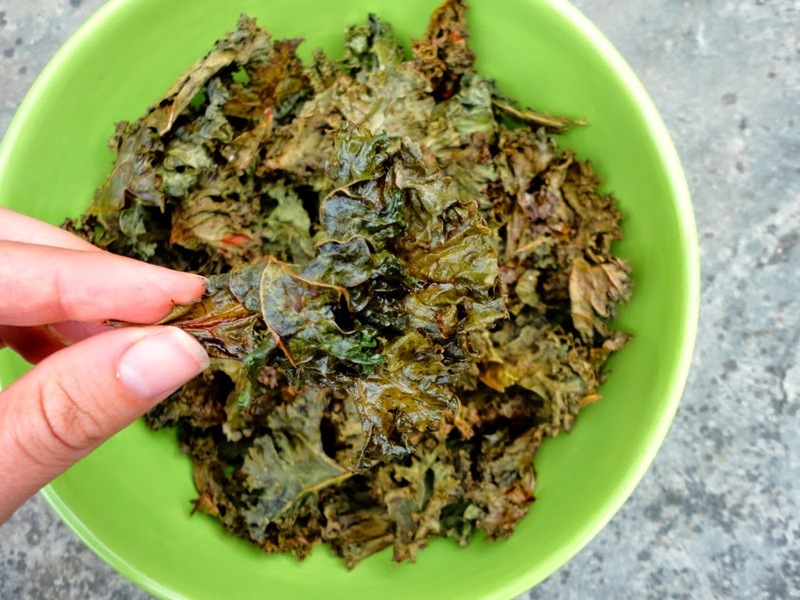 The amount of time the kale chips take to dehydrate in the oven depends on how much moisture is in the air as well as the amount of moisture left on your kale before placing in the oven. Check the kale after 15 minutes and rotate the pan, checking every 5 minutes until the kale is perfectly crunchy. 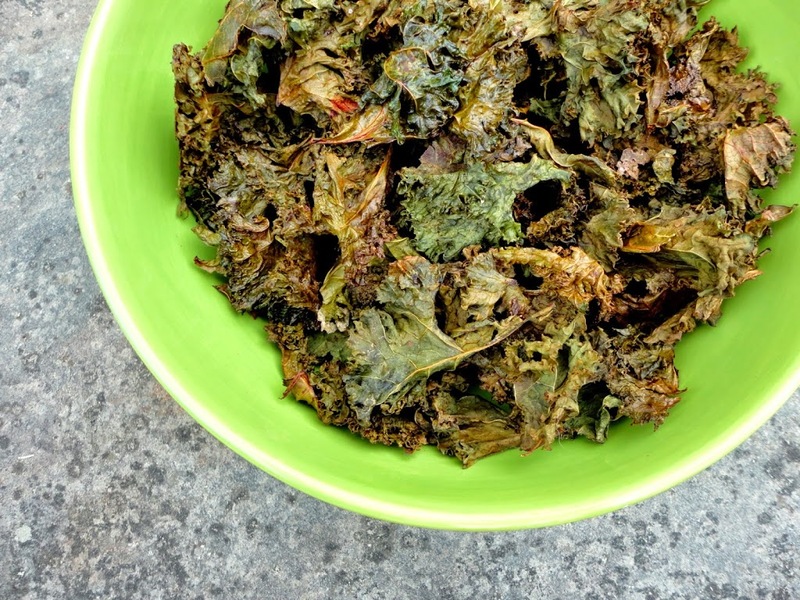 Once the kale has cooled down, throw the kale chips in a bowl and enjoy! 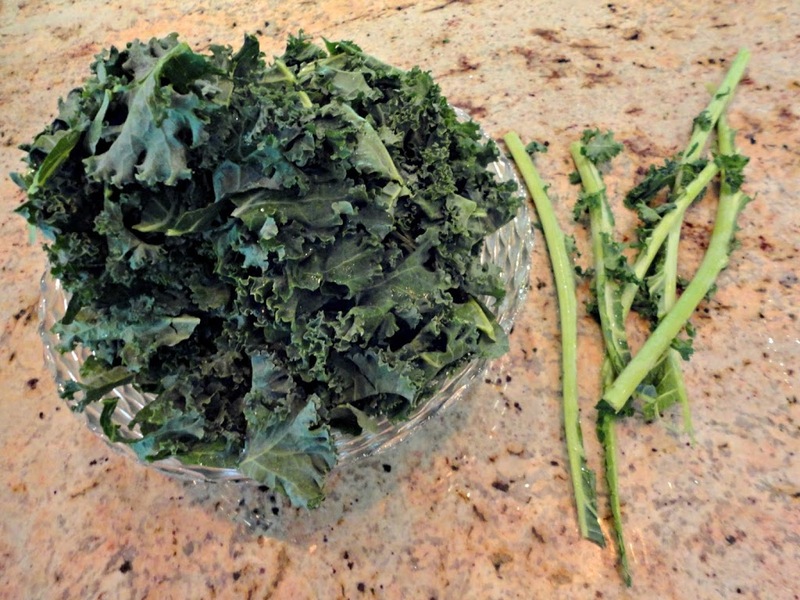 Remove kale leaves from thick kale stems and rip or cut kale leaves into large pieces. With a paper towel, dab and thoroughly dry kale leaves. Add salt, olive oil, lemon juice and optional cayenne pepper into seal-able bag. Add kale into bag, seal the bag and shake, shake, shake the bag until the kale is evenly coated with the olive oil, salt, lemon juice and optional cayenne pepper. Evenly distribute the kale on the baking sheet, making sure to not crowd the kale on the baking sheet. Bake for 20 – 30 minutes or until the kale chips feel nice and crunchy! Make sure to check on the kale chips at about 15 minutes in and rotate the pan to ensure that none of the chips get burnt!